The American Name Society has launched four new Special Interest Groups on Facebook. Today we’re spotlighting the Trade Names group, run by Mirko Casagranda. A combination of verbal and visual elements, Trade Names are often a mirror of society in which language and culture intertwine. 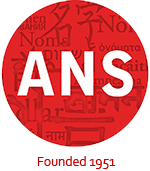 The aim of the ANS Trade Names group is to share and discuss information and news about trade names, brand names and trademarks. Members are encouraged to participate in the debate on what defines trade names, how they function and how they influence our everyday life. Dr. Mirko Casagranda is Associate Professor of English at the University of Calabria, Italy. He has been researching onomastics since 2012. Along with trade names, he is interested also in place names in postcolonial contexts. He has published articles in English and Italian about names in Canada and other English-speaking countries. Between 2015 and 2017, he served as a member at large of the ANS Executive Council. Please note that this is a closed group. The moderator will review your request to join, which includes a few simple questions. We look forward to seeing you there!